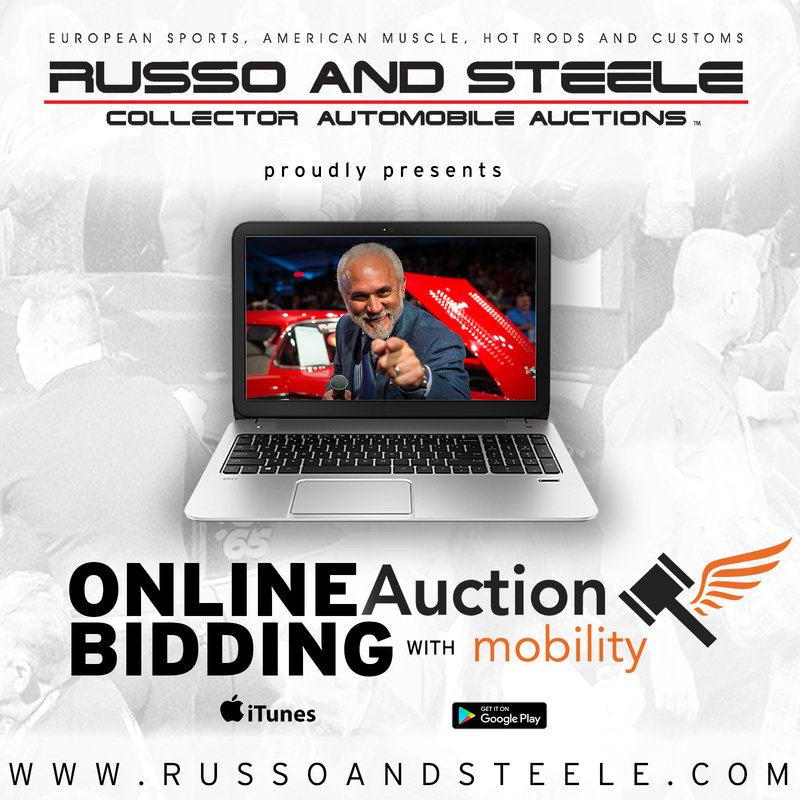 Scottsdale, Arizona (May 18, 2017) – Russo and Steele is proud to announce a partnership with online auction administrator Auction Mobility, to bring you the most comprehensive online bidder platform available anywhere in the collector automobile auction industry. Featuring an all new online platform with real time bidding, video streams, online catalogs with direct highlighted lot notifications, and mobile apps available through iTunes and the Google Play Stores, this project is nearly a year and a half in development and it will provide bidders with the ability to experience the “Most Exciting Collector Automobile Auction in the World” from anywhere across the globe. Additionally, registered online bidders will receive access to exclusive eBay style, timed post sale auctions directly through the platform, through both desktop and via the mobile app. Begin the process now! CLICK HERE to register to bid ONLINE! Experience the excitement of Russo and Steele for yourself – NOW ONLINE! Bidder registration is just $200 and includes online platform access for all 3 days of “Auction in the Round” action, access to iTunes and Google Play Store mobile apps and access to exclusive eBay style, timed Post Sale auctions. Stay tuned for further updates on our 5th annual Newport Beach auction and event schedule and join us for the ultimate California collector car beach party!